I'VE MOVED TO WWW.SAIMASTYLE.CA - SEE YOU THERE! 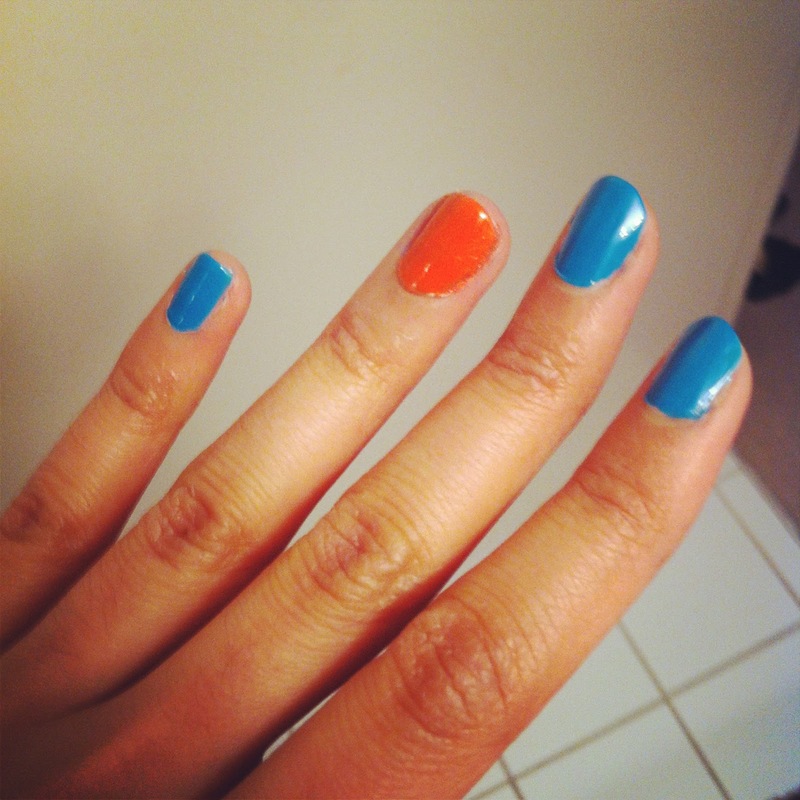 : Nail Trend Alert! I’ve been noticing many of my fashion school peeps sporting this nail trend; thought I’d share! I'm usually not a huge fan of nail art for myself, I LOVE it on other people but frankly its too much work for me. But this trend is SO EASYYY, for lazy-asses like me, its perfect! The key with this trend is picking two colours that complement each other and your skin tone. As much as I love the pastel nail polish colours this season, they just don’t work with my skin tone. I stick to mostly bright and bold colours, (reds, turquoise, fuchsia, purples, corals, etc). Here’s my at home attempt before a night out. Lazy fashionista's represent! Minimal input for maximum output.